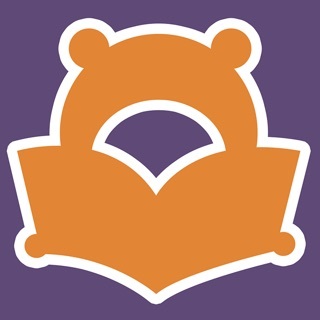 Created by BIG KIDS for LITTLE KIDS, KINDERGO is a children’s reading app offering high quality, curated picture books in an immersive story book world. Your child can learn to read alongside their customisable explorer Go-go, who accompanies your child on their adventures throughout our thematic and interactive islands of books. Download KINDERGO and start your free, no obligation 30-DAY FREE TRIAL! Our introductory subscription plan is commitment-free (no lock-in contract), and only USD$8.49 (AUD$12.99) per month! That’s cheaper than the avocado on toast at your fave cafe! Every KINDERGO island is beautifully crafted and has its own custom theme music and animation. We’ve designed Kindergo so any child aged 2+ can independently navigate the app, learning to read as they explore and play. Each book includes learn to read technology that is purpose built on the Dyad reading principles, a proven educational method. In our one-of-a-kind, world-class KINDERGO reader, every word is tappable and every book is interactive with READ TO ME, READ TOGETHER and TAP & HEAR FUNCTIONALITY. A recent University study showed parents reported trust in KINDERGO as an educational resource for independent child use. KINDERGO’s entertaining and intuitive content was also suggested by parents to have stimulated a greater interest in literacy in general for their child, increasing children’s skills in letter and word recognition, and the mechanics of reading including page turning. Includes a 30 day free trial and is just US$8.49 per month, or US$51.99 per year, after that. Payment will be charged to iTunes Account at confirmation of purchase. Subscription automatically renews unless auto-renew is turned off at least 24-hours before the end of the current period. Account will be charged for renewal within 24-hours prior to the end of the current period. The user may manage subscriptions & may turn off auto-renewal by going to Account Settings after purchase. No cancellation of the current subscription is allowed during active subscription period. Any unused portion of a free trial period will be forfeited when the user purchases a subscription to Kindergo! Beautifully designed app with fabulous 3D island layout. Each island has a story ‘theme’ style. Books range from young (2 yo) to older (5yo). Some great stories in here, but the world itself is just lovely. Books can get read to the kids (with highlights of words) meaning I can park the with the iPad and not feel guilty! For the price of the subscription the books need to be updated more frequently. My 4 year old daughter had read and completed the sticker book within the month. 5 books a month is not enough...but...the app is awesome apart from the above. Highly engaging and well designed. Requires iOS 10.3.3 or later. Compatible with iPhone, iPad and iPod touch.